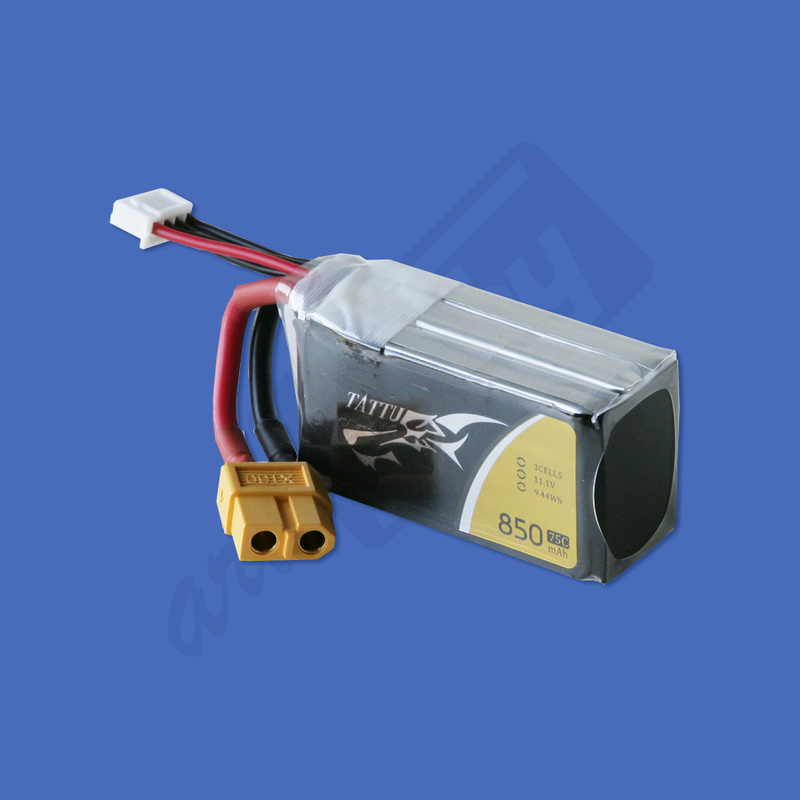 850 mAh 3S LiPo battery pack. 80 g / 2.80 oz. 2.24 x 0.90 x 1.18 in.